Hi I want the exam time table of Madurai Kamaraj University so can you please provide me? Madurai Kamaraj University (MKU) is a public university in India located in Madurai city in southern Tamil Nadu, India. It was established in 1966. It is approved by UGC. Here I am providing you the process of getting exam time table of this University. 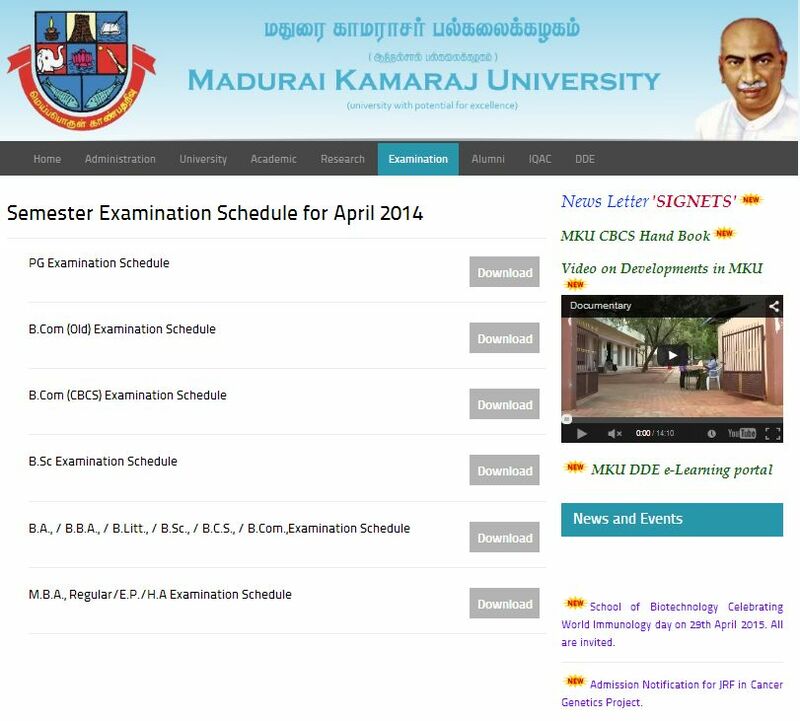 Go to the official website of the Madurai Kamaraj University.